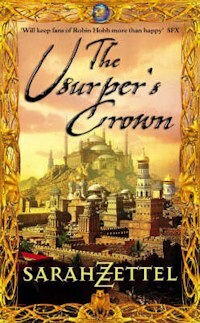 Oddly, The Usurper's Crown is the prequel to A Sorcerer's Treason, even though it's the second book in the series. The two novels are set a generation apart, so there isn't too much in the way of overlap and therefore spoilers. It's a portal fantasy, in which a young woman from a fishing family in late 19th century Wisconsin is transported to the heady world of Isavalta to mix with royalty and wrangle with sorcerers. Avanasy is a disgraced sorcerer who has been exiled for speaking out against Kacha, a foreign prince who has married into the Isavaltan royal family. Princess Medeoan will not hear a word said against Kacha, and she believes Avanasy is a traitor. So Avanasy flees for his life to another world, where he tries to make a new life as a fisherman, and where he meets Ingrid Loftfield and her family. Ingrid knows there's something strange about Avanasy, and her suspicions deepen when her sister Grace is afflicted with a strange illness. Things get steadily stranger and more intense as the action switches between worlds and powerful supernatural beings play their part in human affairs. The world building is very different between the three main arenas. Zettel's Wisconsin is believable, with only a shade of creepiness as the paranormal elements make their presence felt. The Land of Death and Spirit, which is the world between Isavalta and Earth, is much more cartoon-like because of its exaggerated weirdness and shifting geographies. It's a dangerous place, dominated by formidable magical creatures with sly natures. However Isavalta is like an old-fashioned echo of Earth, with a much more rigid, hierarchical culture. The neighbouring country of Hastinapura sounds vaguely Indian, whilst the empire of Hung-Tse and everything in it sounds more oriental. These places are invented but not entirely exotic, because they conform to fairly standard templates for pre-gunpowder fantasy worlds, with magic and traditional patriarchal social structures. Overall I enjoyed reading The Usurper's Crown. I liked the main characters, and their adventures are exciting and unpredictable. However, I did find Ingrid and Avanasy to be a bit too noble, whilst their adversaries swing too far towards the murderous and sly end of the spectrum. This is made up for with more nuanced secondary characters, and the Spirits add quite a lot of intrigue and uncertainty to the proceedings. The story is told from various points of view, and the addition of so many perspectives slows down the pace in the middle of the book. Even though this helps to build a complex plot, the story isn't necessarily improved by so many voices. There is a romantic element, although it's not clear which of the main characters will end up together. These are adult relationships, but they're written in a way that leaves the bedroom door firmly closed, beyond a little chaste kissing. Magic spells have a cost in this universe, and the more powerful the spell the more vicious this price can be. I always prefer that kind of premise, because it seems more psychologically real than just letting magic flow freely without any consequences. This is a story of love, betrayal and sacrifice, complicated by scheming sorcerers, politicians, and immortals. Sometimes it works to great effect, but the protagonists were a little too nice to have me really gripped. In this prequel to the Black Magician series a young assistant healer learns that she has magical gifts. In book one of the Moorehawke trilogy a royal family is in conflict with itself. 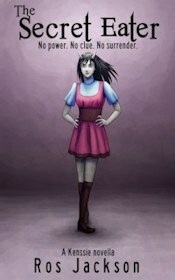 How can Wynter protect the people she cares about? In the first of the Study series Yelena Zaltana finds herself trapped in the dangerous job of food taster.